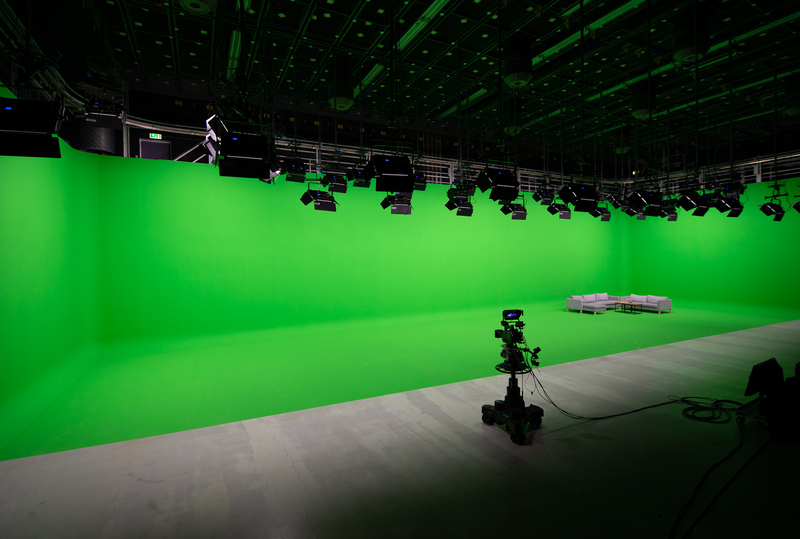 Hilversum, 2 November 2018NEP has built one of Europe’s largest green screens in one of its studios at the Media Park. The green screen in Studio 4 is an incredible 25 meters wide. As such, NEP lowers the threshold to use virtual sets for short-term productions. This means the virtual and augmented reality production tools, including real-time data and statistics integration in combination with the most realistic render quality available on the market, will be available to the entire market. During the past two years, NEP has invested in state-of-the-art render engine technology and has set up a team of 30 designers, technical artists and developers. The team is responsible for many TV productions in the Dutch market as well as in the United States, England, Germany, Thailand, Italy and the Middle East. In addition, they have developed an end-to-end workflow, including a software layer that can be seamlessly integrated with multiple-camera registration. A render engine from the gaming industry brings photo realism into the domain of broadcasting. The new chromakey studio is connected to NEP’s core infrastructure and Centralized Production platform, which means it is well-suited for use on short-term or one-off productions and pilots. The size of the green studio now enables program makers to run bigger productions of any genre, from big live entertainment programs to game shows and from large-scale talk shows to news broadcasts. At the same time, multiple small studios can be set up right next to each other so that when one program ends, the next can be started right away. This means resources are used more efficiently and buyers only pay for the duration of the program.